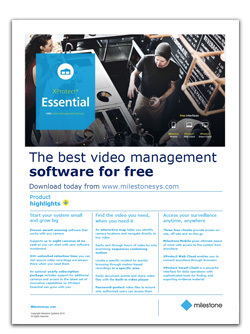 Founded in 1998, Milestone Systems is the global industry leader in open platform IP video management software. The XProtect platform delivers powerful surveillance that is easy to manage, reliable and proven in thousands of customer installations around the world. 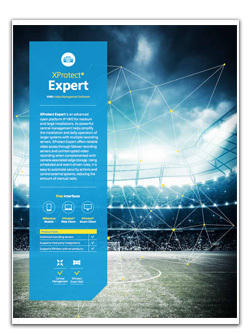 With support for the widest choice in network hardware and integration with other systems, XProtect provides best-in-class solutions to video enable organizations – managing risks, protecting people and assets, optimizing processes and reducing costs. 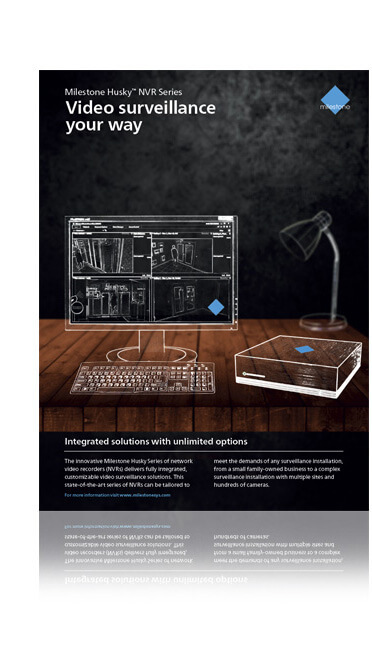 XProtect is easy to use, yet powerful software that is designed with open architecture. This means that all XProtect products are compatible with more IP cameras, encoders and digital video recorders than any other VMS manufacturer, giving you the freedom to mix and match hardware to fit your needs and budget. Because XProtect is based on a true open platform, you have the ability to integrate with today’s best analytics and business solutions and to expand what is possible with future innovations. Whether your installation is just a few cameras or several thousand, there is an XProtect product to meet your needs. Learn more about the different XProtect software products in the key features overview chart below and by visiting the product pages. For a typical IP video surveillance system, many components beyond cameras are required, such as network routers, switches, wiring, servers, backup power supplies and management and recording software. By choosing XProtect, you have the ability to connect products from a wide array of vendors that best suit the needs of your installation.. The open platform makes it easy to integrate previously independent security and business systems into one video solution for greater efficiency and improved functionality. 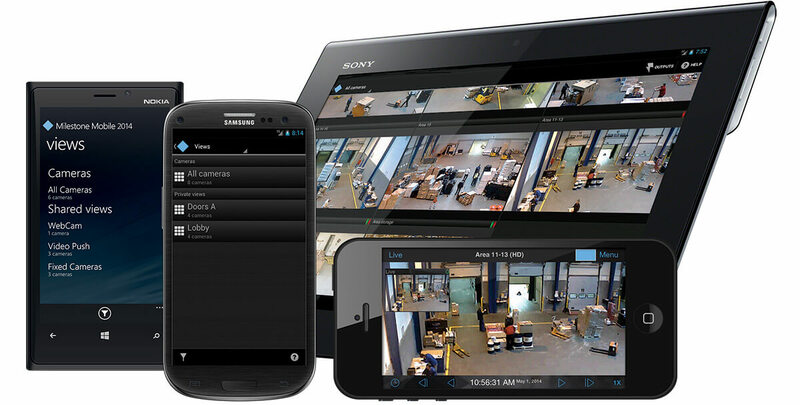 Use surveillance video for many value-adding purposes, such as training, quality assurance in production control or logistics, delivery and inventory status, insurance claims, employee procedures and environmental hazard monitoring..
XProtect Corporate is powerful IP video management software (VMS) designed for large-scale and high-security deployments. Its single management interface enables the efficient administration of the system including all cameras and security devices regardless of its size or if it is distributed across multiple sites. 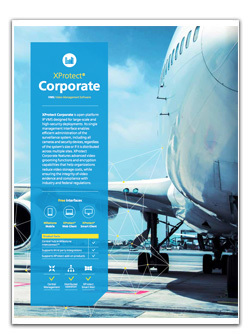 For systems demanding supreme situational awareness and precise response to incidents, XProtect Corporate features interactive maps linked to alarms and included support for XProtect® Smart Wall. XProtect Corporate provides the ultimate system reliability for high-security installations. Edge Storage support combined with failover recordings and redundant management servers ensure video recordings are never interrupted..
Video storage monitoring: Easily detect deviations from defined storage policies in situations where video data is overwritten prematurely due to insufficient physical storage. Milestone Interconnect™: XProtect Corporate can interconnect with all XProtect VMS, Milestone Arcus™ and Milestone Husky™ products providing central operation and cost-effective management of geographically dispersed surveillance sites. Three unique viewing clients provide seamless access to live and recorded video for different personnel responsibilities. With multi-layered maps and the option to add on XProtect® Smart Wall, the software provides situational awareness across multiple locations. Ideal for daily users and operators who want sophisticated live monitoring, XProtect Expert has efficient alarm handling and the ability to flag suspicious incidents for later review..
Configuration reports: System integrators can document system delivery and provide a detailed listing of all configuration settings. NEW - Multi-live streaming: Enables multiple streams for live viewing with different properties according to available bandwidth. It is ideal for installations with mixed network connections because it optimizes bandwidth use and viewing performance. With support for unlimited numbers of cameras, XProtect Enterprise is easy-to-use, yet advanced open platform IP video management software (VMS) for medium and large multi-site installations. It has comprehensive features that help operators view multi-site locations with an unlimited number of cameras and react quickly to incidents and efficiently export video. XProtect Enterprise includes configuration wizards and automatic hardware detection, which significantly reduce the time and cost of installing surveillance systems with many cameras. 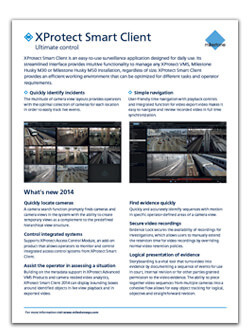 The software provides exceptional situational awareness with multi-layered, interactive maps, sophisticated alarm handling and a unique Camera Navigator for tracking moving objects. .
With support for unlimited number of cameras, XProtect Professional is comprehensive open platform video management software (VMS) for mid-sized installations with multiple buildings. XProtect Professional offers users a complete visual overview of their surveillance installation with interactive maps revealing camera locations. Alarms displayed directly in the maps make it easy to quickly identify and address incidents throughout the entire system. If an incident occurs, efficient video search tools enable users to easily find relevant video clips and export evidence. Users with different skill levels and system access can view live and recorded video through three convenient, intuitive viewing interfaces including Milestone Mobile for on-the-go access..
Video search tools: Smart Search and Sequence Explorer allow users to quickly sort through large amounts of evidence to find exactly what is needed. 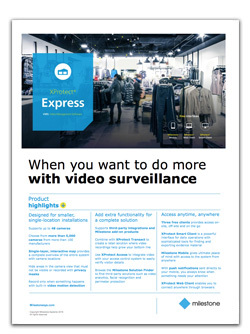 With support for up to 48 cameras, XProtect Express is easy and affordable video management software (VMS) for small, single-location companies requiring simplified methods of incorporating video capabilities into their existing business operations. Businesses can integrate third-party applications, such as analytics and access control systems, directly into XProtect Express creating a solution with increased functionality and one common interface. With efficient video search tools and multiple export options, users can quickly gather evidence when necessary. 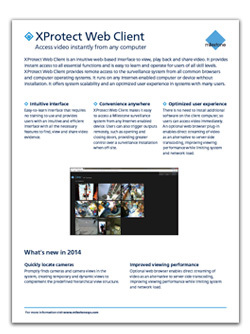 Three viewing interfaces provide seamless access to live and recorded video for users of all skill levels. We have the best VMS on the market. By making a fully-functional, feature-rich VMS available for free, we are bringing our award-winning platform to thousands of potential end-customers, enabling them to explore the numerous bene ts our VMS has to o er, and convincing them over time to become loyal XProtect customers. This also represents a unique opportunity for you to introduce resellers unfamiliar with Milestone to the value that our VMS brings to end-customers. Once they see how well it works, they’ll be convinced to think Milestone every time they are proposing a VMS to their end-customers. The free version of XProtect Essential will be available as a free download supporting up to 8 cameras. 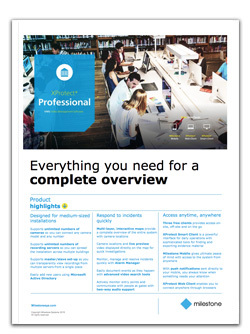 Customers can expand their systems by purchasing the new XProtect Essential subscription packs. A subscription pack includes 8 cameras licenses and a 1-year subscription to Milestone CareTM Plus. A total of 5 subscription packs can be added to one Software license code, resulting in a system supporting up to 48 cameras in total. Customers must renew this subscription every year. Milestone is proud to offer users three flexible ways to view surveillance: XProtect Smart Client, Milestone Mobile and the new XProtect Web Client. 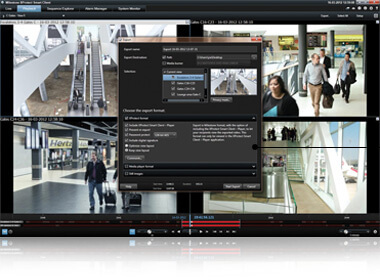 With the ability to access video from various locations, as well as computers and mobile devices, there is an XProtect client to suit all users' needs. For easy access to video surveillance, XProtect Smart Client, XProtect Web Client and Milestone Mobile are available for free in 27 languages - XProtect clients give users the ability to work in their native language and choose the viewing interface that best suits their needs. The functionality of XProtect clients is dependent on the Milestone software, ensuring users get access to the features their system requires. Designed for Milestone XProtect® IP video management software (VMS) and Milestone Husky™ series, XProtect Smart Client is a powerful, easy-to-use client application for a surveillance installation's daily operations. Its streamlined interface provides intuitive and powerful functions to manage any Milestone installation regardless of its size. XProtect Smart Client provides an efficient working environment that can be optimized for different tasks and operator requirements. Advanced investigation tools combined with an easy-to-navigate video timeline enable users to examine incidents quickly and accurately. Sophisticated export options, including the Storyboard feature, consolidate relevant video evidence for a complete overview of incidents. XProtect Smart Client is available in 27 languages, allowing users to work with the application in their native language. Using the Milestone Integration Platform and the unique application plug-in architecture, various types of security and business systems applications can be seamlessly integrated in XProtect Smart Client. XProtect Web Client is an intuitive, web-based interface to view, play back and share video. It provides instant access to the most commonly used functions, and it is quick to learn and simple to operate for users of all levels. Available in 27 languages, XProtect Web Client provides remote access to the surveillance system from all common browsers and computer operating systems. XProtect Web Client runs on any Internet-enabled computer or device without installation, including optional browser plus-ins. It offers system scalability and an optimized user experience in systems with many users. 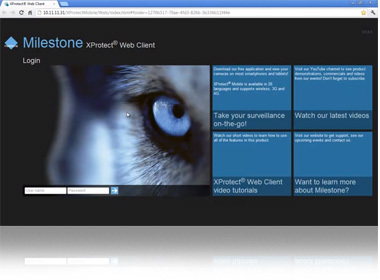 XProtect Web Client gives access to surveillance from all the most common browsers and computer operating systems, so users can access surveillance off-site. With no need to install additional software, users can monitor their XProtect system anywhere from any Internet-enabled computer or device. 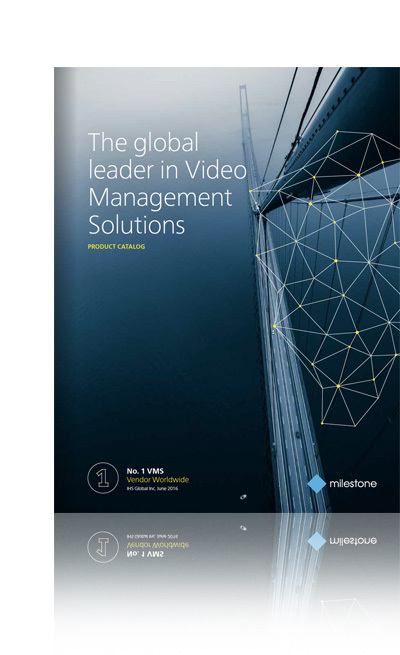 Milestone Mobile is a free application for Apple®, AndroidTM and Windows Phone 8 devices that allows users to view video instantly using smartphones or tablets. It operates seamlessly with all XProtect® video management software (VMS), Milestone HuskyTM NVRs and the Milestone ArcusTM platform via Wi-Fi, 3G or 4G connections. 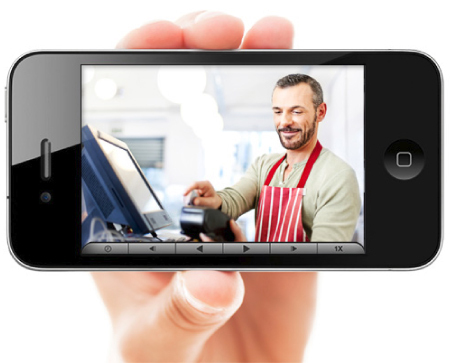 With Milestone Mobile users can view, play back and export video, control output and push live video from the device’s camera, allowing users to see what’s important regardless of their location. Milestone Mobile 2014 is localized into 27 different languages, allowing users to work with the application in their native language. Flexible access: Milestone Mobile enables instant access to a surveillance installation from anywhere, at any time, via any Internet-enabled mobile device. 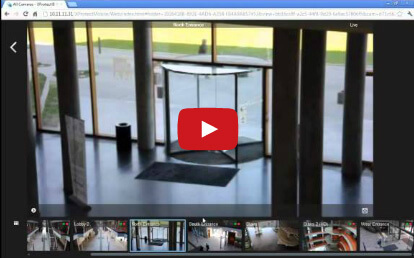 Users can instantly verify that surveillance areas are safe and secure. 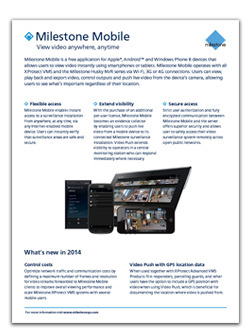 Extend visibility: With the purchase of an additional per-user license, Milestone Mobile becomes an evidence collector by enabling users to push live video from a mobile device to its connected Milestone surveillance installation. 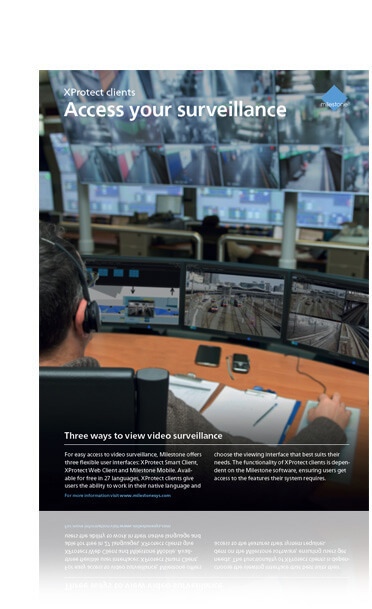 Video Push extends visibility to operators in a central monitoring station who can respond immediately where necessary. Secure access: Strict user authorization and fully encrypted communication between Milestone Mobile and the server offers superior security and allows user to safely access their video surveillance system remotely across open public networks. Control costs: Optimize network traffic and communication costs by defining a maximum number of frames and resolution for video streams forwarded to Milestone Mobile clients to improve overall viewing performance and scale Milestone XProtect VMS systems with several mobile users. Video Push with GPS location data: When used together with XProtect Advanced VMS Products first responders, patrolling guards, and other users have the option to include a GPS position with video when using Video Push, which is beneficial for documenting the location where video is pushed from. 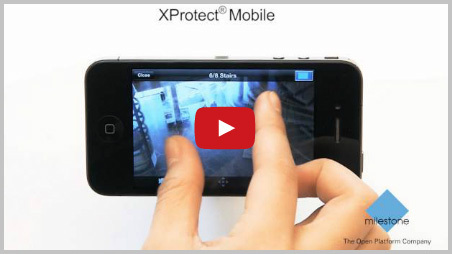 View your XProtect® system from almost anywhere on your smartphone or tablet with the new XProtect® Mobile. Designed by Milestone, XProtect Mobile is a free application that works seamlessly with all XProtect video management software (VMS) products and is available as a download from the Android™ Market and the App Store℠*. Introducing the all new Milestone Husky Series. Performance-optimized network video recorder (NVR) solutions that never compromise on quality. 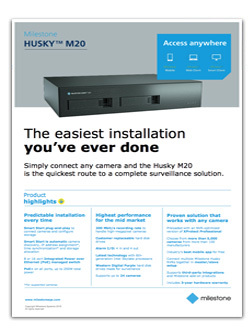 The innovative Milestone Husky Series is the result of challenging the convention and delivering a more powerful, all-in-one solution with optimized processing power to meet the stringent demands of any surveillance environment. 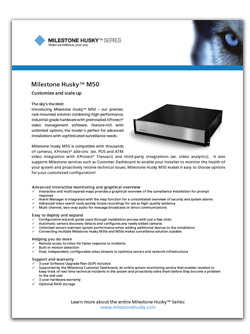 Why choose a Milestone Husky NVR solution? Milestone Husky M10 NVR is a sleek, fanless model with Milestone VMS preloaded and configured for efficient performance and reliability. Milestone Husky M10 is extremely intuitive and easy to operate. It is a scalable and cost-effective solution for easy integration into any Milestone surveillance system. Milestone Husky M10 is accessible from two user interfaces, web user interface and Milestone Mobile available in 26 different languages. The Husky M20’s replaceable hard drives give you the flexibility to replace the hard drives when needed, with minimal disruption to your video recording. The Husky M20 can be used as a workstation or as a rack-mounted unit, enabling you to choose the set-up that works best in your own environment and that suits your needs and IT expertise. The Husky M20 comes with the most feature-rich mobile app in the industry, Milestone Mobile, which gives you instant access to your video feed from your mobile phone. The Husky M20 boasts a 200 Mbit/s recording rate, ensuring you have sufficient bandwidth to handle today’s high megapixel cameras. 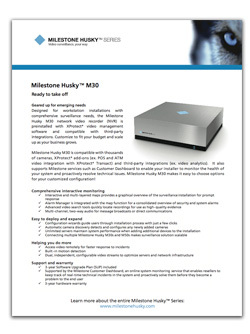 Milestone Husky M30 is a customizable workstation appliance embedded with XProtect video management software (VMS) designed for workstation installations with comprehensive surveillance needs. Milestone Husky M50 is a premium, customizable, rack-mounted solution combining high-performance, robust, industrial-grade hardware and XProtect video management software (VMS) for advanced installations with sophisticated surveillance needs.